Home Garam News Kalank official trailer out now! 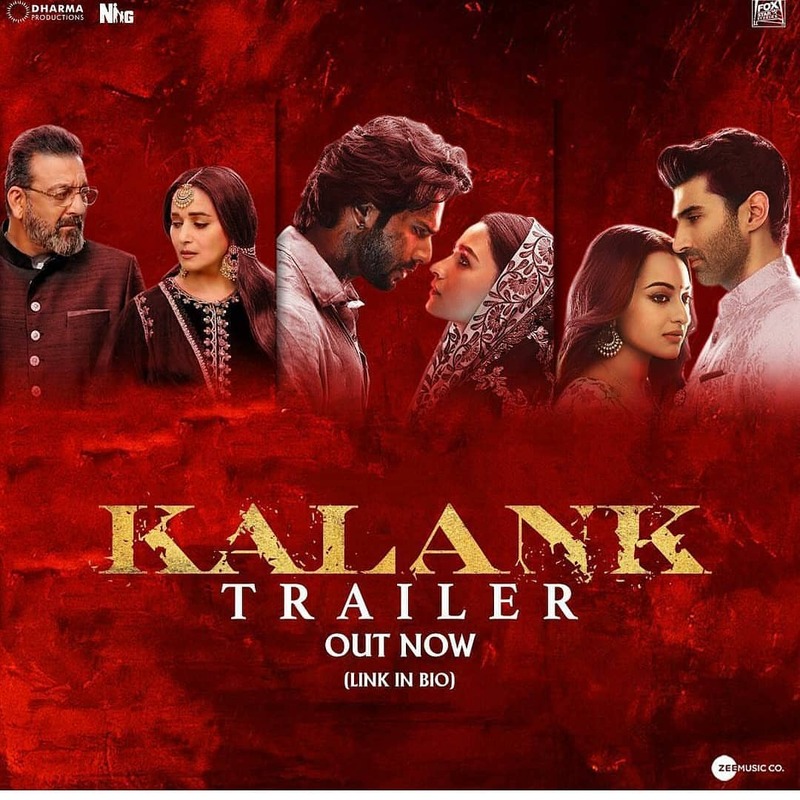 The highly anticipated official trailer of the much awaited film Kalank has been released. The multi-starrer flick has been set during the pre-independence era of 1945. The film stars Madhuri Dixit, Sanjay Dutt, Alia Bhatt, Varun Dhawan, Kunal Kemmu, Aditya Roy Kapur and Sonakshi Sinha in lead roles. Last month the makers of the film launched a teaser which looked promising and the trailer looks even more exciting and the audience cannot wait to catch the actual film. With enormous sets, eye catching costumes, pinching dialogues and unconditional romance, the Abhishek Verman helmed flick is surely ready to entertain the audience as it will be released in theatres on April 17, 2019. The trailer has given glimpses of a communal disturbance with Madhuri Dixit playing the role of Bahaar Begum amidst a magnificent nach sabha and the grand Ram Navami celebrations. So far the makers have released three songs from the film which have made the listeners happy. The first one was Ghar More Pardesia featuring Alia Bhatt, who has won the hearts of the audience with her dancing skills and the other one is a peppy number First Class featuring Varun Dhawan and Kiara Advani. The makers have also released the title track of Kalank which is a soft love ballad crooned by Arijit Singh.